It can feel a little strange when you reach the stage in life where you’re providing a level of care for your parents. After all, they’re the first young adults you ever knew - they pampered and cared for you as a baby, and brought you up to be the person you are today. But when they reach their silver years, it’s a fact of life that you’ll need to step up and take responsibility for their health, wellbeing, and standard of living, and this article shows you ways in which you can be useful to them. Elderly people are more fragile, frail and prone to painful falls than when they were younger. That is just a fact of life. Adding rails and other useful objects to a home can really help where this is concerned, converting their home into a safer place for elderly people. In particular, you may want to think about bathroom safety. Bathroom safety is one of the key areas to improve, as it’s the room to which your elderly relative goes alone, and can often be slippery. Bathroom safety equipment, like bath aids, helps the elderly go about their private business in comfort without risking a fall or slip on smooth tiled surfaces, maintaining their dignity with a helping hand. Many elderly people simply don’t want to feel a burden on their close family or friends. Because of this, they tend to hide when they are experiencing health issues or symptoms that might serve to worry you. In order to help them keep fit and healthy, it’s, therefore, a smart move to keep an open and upbeat dialogue open between you and your parents, ensuring that they go for regular health check-ups and that they’re taking adequate care of themselves when it comes to exercise and diet. It will be a sign that you’ve grown into a real adult when you provide emotional support to your parents. They will, after all, be seeing their friends dying more regularly, and may even lose their spouse as time goes on. Keeping in regular contact, visiting regularly with the kids, and making sure that their lives are as full as possible are all super ways to keep the moral of elderly people high. Never simply assume your parents are in the best mental health state, even if that’s how they act: they may, like any adult, be hiding how they really feel. Finishing on a slightly more light-hearted note, don’t think that, just because your parents are of a different generation, they’ll not be interested in the digital technology. 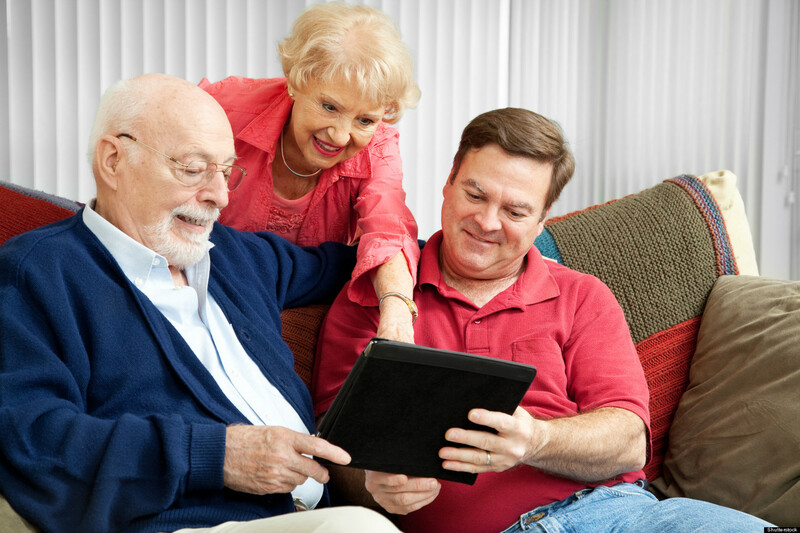 Kit them out with an iPhone or tablet and show them how to download and use apps, and they’ll be far better-placed to keep up to date with news and current affairs, as well as the social media activity of the rest of the family - if the rest of the family accept their friend requests, that is. Helping your parents as they age is a mature and responsible thing to think about, and hopefully, this article will shape some of your help in the months and years to come.